Christy brings over 20 plus years experience building new homes as well as renovating award-winning historic homes in the greater Mobile area and the Eastern Shore. A huge advocate of giving back to her community, she's served as vice president of the Mobile Historic Development Commission as well as a commission appointee for seven years. She also enjoys helping area non-profits with social media marketing. 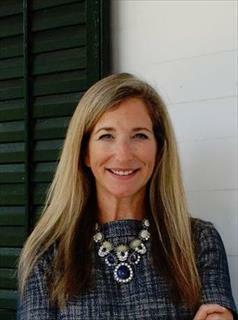 After 14 years of volunteering in the community with the Junior League and the Historic Mobile Preservation Society, Christy began a career in sales, winning several awards along the way such as the Triple Crown Award with Edward Jones as a financial advisor and one of the top four sales representatives in the Southeast for Waste Pro. Although she has many home sales all over the Mobile Bay area, Christy specializes in the Historic Districts of Midtown and Downtown. With renovations featured in Mobile Bay Monthly, as well as two homes featured in the Mobile Press Register's "Cool Spaces", Christy and her husband have built in West Mobile, the Fairhope area, renovated homes in DeTonti Square, Oakleigh Garden District, Old Dauphinway Historic District, as well as the Midtown area around Murphy High School. A savvy buyer or seller will take advantage of her advice and in depth knowledge of the Mobile area market, particularly homes in need of some type of renovation. Christy is originally from Ocean Springs, Mississippi and graduated from the University of Southern Mississippi. She resides in the Midtown Mobile area with her husband of 26 years, Allan Gustin, who is the senior project manager for Dunn Building Company's Mobile office. They have four children: Tripp, Shelby, Win, and Elizabeth. In their spare time, they enjoy doing projects around the house as well as renovating historic properties. She presently serves as Secretary on the Historic Mobile Preservation Society Executive Board.